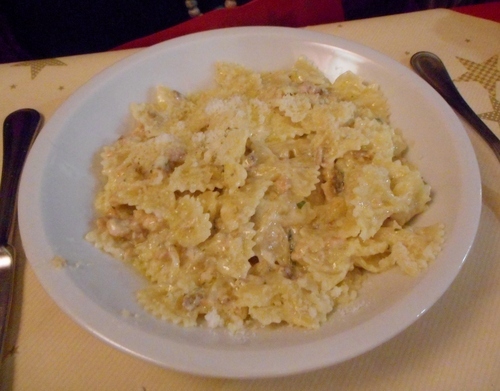 The first evening of the week dedicated to celebrating International women’s day at Bagni di Lucca was, as expected, up to the high standards of past years and even exceeded them. The occasion opened with speeches from the main figures who have done so much to make this ‘Omaggio alla Donna’ such an essential feature of Bagni di Lucca’s calendar of events. Among them I single out Natalia Sereni, Morena Guarnaschelli and Gemma Fazzi. There will be plenty of reportage on the events and the marvellous art and photographic exhibition, which spread over a truly international network ranging from Chile to Poland, at the casinò in other blog posts. See, for example, Debra Kolkka’s post at https://bellabagnidilucca.com/2017/03/05/womens-day-exhibition/. For me however, the highlight of the evening was a superb concert given by two artistes of exceptional quality. Barbara Kelly is well-known for her lively renditions of a repertoire extended from musical to opera to folk songs. Beatriz Oyarzabal Pinan from Mexico is the partner of artist Wilson Guevara, whose paintings have already graced the Casinò last year. She has an immaculate voice with a lilting tremolo and her performances truly involve the audience as she has the rare capacity to fully live her songs. 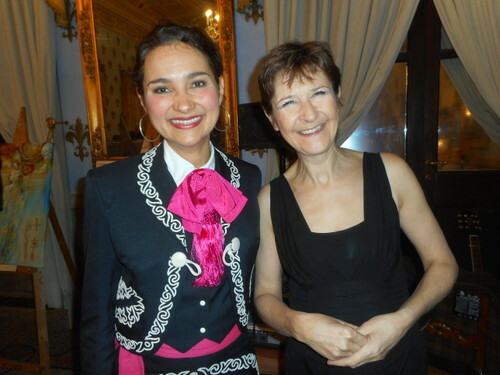 It was wonderful to have both Barbara and Beatriz collaborating in duets from the best of Lloyd Webber. An encore was truly merited! PS Don’t miss the concert at 9 pm this Wednesday at the Casinò. 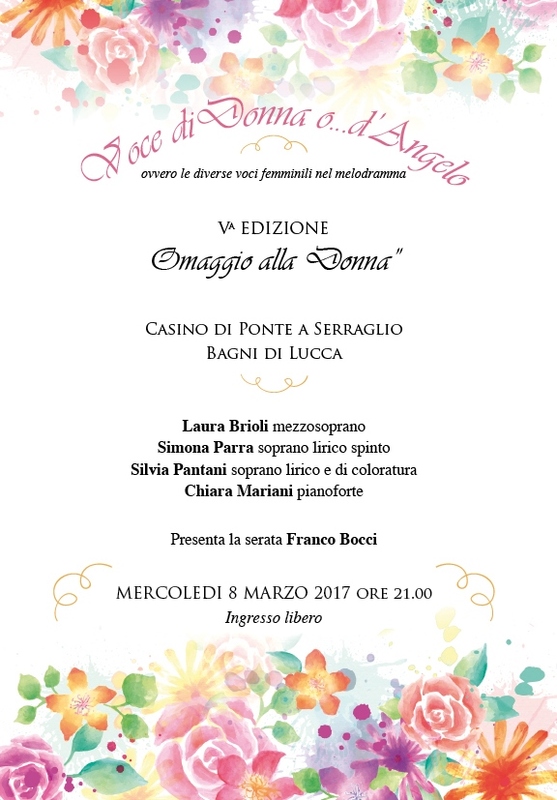 Bagni di Lucca’s celebration for International Women’s Day opens this Sunday, 5th March, at 5 pm at Ponte a Serraglio’s Casino. The casino’s exhibition will remain open daily from 5 to 8 pm until Sunday 12th March. As part of the cornucopia of events there’s an attractive free concert, organised by the Montaigne foundation, on Wednesday, 8th March, at 9 pm. No booking is needed as it’s first come, first seated. However, knowing the popularity of these events, it’s best to come earlier rather than later! The Summer Festival celebrates its twentieth year of uninterrupted activity. 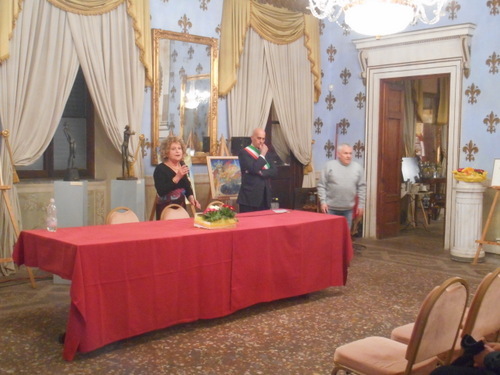 It’s thanks to its patron, Mimmo D’Alessandro, that this year it’s presenting top names in Lucca’s Piazza Napoleone. On 4th July, at 9.30 pm there’s a concert by Imagine Dragons. Live performances have always been essential for this American group. Their passionate and inventive alternative rock and their choice of creating genuine but bold music has remained a constant for the Las Vegas foursome, who have gained a large following thanks to the many tours they have made. In 2014 Imagine Dragons’ “Radioactive” won ‘ the Grammys Awards (2014) for best Rock performance. Standing place: 40.00 + prev. / Statue Gold: 90.00 + prev. On 22nd July, at 9.30 pm, Macklemore & Ryan Lewis from Seattle are playing (their only Italian date). The two young men have emerged as the hip hop group flagship, known for their electrifying live show and their excellent and innovative music videos. Ben Haggerty (real name Macklemore) made his debut in the music world in 2000 as Professor Macklemore, but the turning point came in 2009 thanks to a meeting with producer Ryan Lewis with whom, in 2013, he recorded “The Heist” containing “Thrift Shop”. The success of “Thrift Shop” has not only been popular on YouTube but in America has sold over two million copies, entering the top forty of the Billboard Top 100 (… ..and it’s still climbing). Their world tour has sold out everywhere. Macklemore & Ryan Lewis represent Hip Hop better than anyone else. Presale TicketOne – Infoline 0584.46477: 43, 00 + prev. / Statue Gold: 90.00 + prev. On Sunday, July 23rd at 9.30 pm “Kasabian”, the English rock band that has filled clubs and arenas across Europe, returns to the stage. Combining rock and electronic, Kasabian have climbed the charts all over the world since their first debut album in 2004. The Leicester group, through the overwhelming success that has launched them on a planetary scale in the rock scene, is returning in 2017 with a new tour that will thrill fans throughout Europe. Sergio Pizzorno and friends will present their latest and highly anticipated “48:13” album out in spring (after three years from the last album) celebrating their ten years together. Standing place: 30.00 + prev. / Statue Gold: 90.00 + prev. 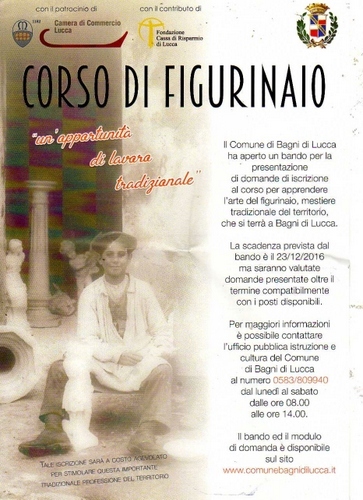 On Friday 27th January, at 9 pm, in the Complesso San Micheletto in Lucca, there’s a concert titled “The Girls in the Magnesium Dress” and Jacob Bettinelli organized by the Associazione Animando and included in the series “Eighteenth century music in Lucca”. Valentina Ciardelli (double bass), Anna Quiroga (harp) and Jacob Bentinelli (baritone) will perform a varied program including music by Bottesini, Verdi, Puccini, Mozart, Granados, Leoncavallo, Cesti, J. S. Bach, Tosti and Refice. The three “global”, young musicians, currently training in London, met at the Royal College of Music in 2015 and decided to play together in 2016. Their aims are to discover a recherché sound with faithfulness to the original scores, to research little-known musical instruments and to uncover an unfamiliar repertoire. 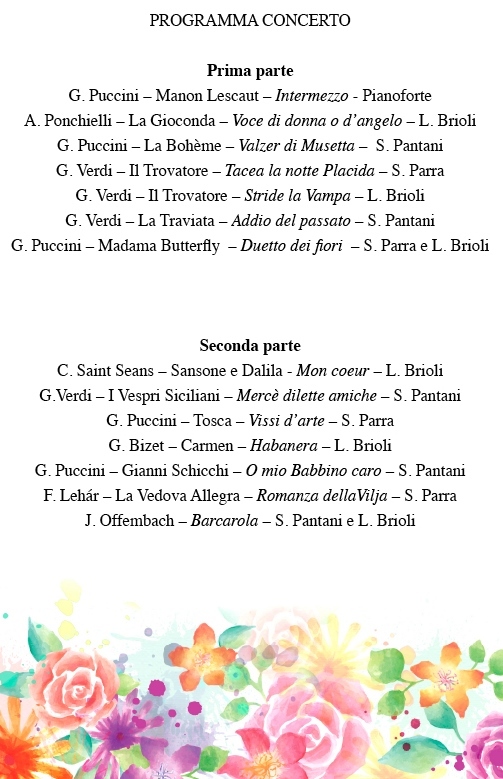 The evening’s program includes a repertoire which is mainly dedicated to Italian and Mittel-European opera (with a tribute to the great Enrique Granados), in a chamber music key, from eighteenth-century masterpieces, such as “The Marriage of Figaro”, to virtuoso double-bass pieces by Giovanni Bottesini. Valentina Scheldhofen Ciardelli began playing the double bass with Gabriele Ragghianti from June 2009. She graduated in 2014 with highest honours at the ISSM L. Boccherini of Lucca before specializing at London’s Royal College of Music in where she graduated with honours. 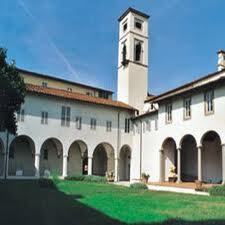 She also holds an honours degree in Jazz Composition at La Spezia’s G. Puccini Conservatory. Anna Quiroga: born in Barcelona she graduated with honours in her city’s Conservatories Municipal de Música and later at London’s Royal College of Music in. Anna works with orchestras such as the BBC Symphony Orchestra, the Hulencourt and other European orchestras. Jacob Bettinelli was born in Hong Kong and was selected as a promising young artist in the Britten-Pears Young Artist in 2016. He is currently attending his final Baccalaureate year under David Rendal at London’s Royal College of Music. How did we spend our Christmas Eve? First we travelled over the pass from Benabbio through Boveglio past Colognora to Collodi and thence to San Gennaro where we visited the marzipan (mmmmm) crib in Palazzo Bocella done by the students of the management and catering school there. Next door there was more to see in the wonderful Romanesque parish church including this exquisite sculpture of an angel by Leonardo da Vinci executed when he was still a pupil of Verrocchio. It’s Leonardo’s one surviving sculpture and was only identified as by the master at the end of the last century. 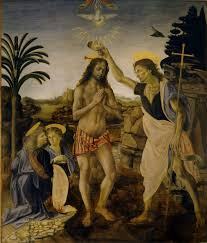 Remember the angels Leonardo painted for Christ’s baptism for his teacher Verrocchio and which you can see in Florence’s Uffizi? And marvellous capitals on the columns. 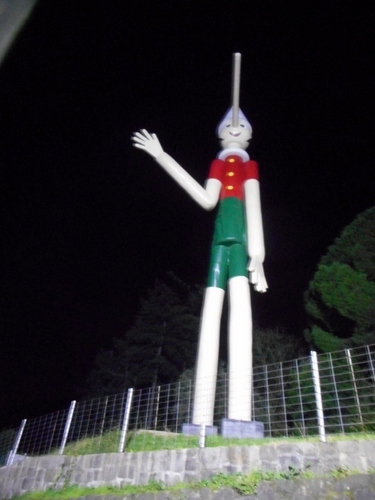 Then back to Collodi with its literary associations and that giant Pinocchio on the way out. Then past ‘Caspita’, the Chinese shop by the roundabout at the end of Viale Europa, for some last minute shopping. Then, leaving the car at Ponte a Moriano we climbed into the navetta (shuttle bus –‘ literally ‘little ship’) for Midnight Mass with the best music around at the Convento dell’Angelo once belonging to the Passionist fathers but now Maestro Kuhn’s Montegral singing finishing school. Then back home at around 3 am and a good sleep before Christmas day! There’s no Known Cure for Christmasitis, Thankfully! Why waste your time with grotty Santa grottoes when the real thing is right here in Bagni di Lucca. The Villa Webb, Byron’s residence when he stayed in Bagni di Lucca, has been transformed by the amazing hands of the Vicaria di Val di Lima and other volunteers into a magical Christmas mansion complete with a Babbo Natale (Santa Claus) whose voice sounded remarkably like my GP’s. He spread happiness to all the kids (including myself) visiting the transformed palace in the enchanted grotto of the ancient kitchens. Better than any anti-depressive pills I think…. Let these pictures tell the story. Down in Villa there was everything from the primeval Santa Claus (green rather than coke red and white),to line dancing to street food. Although the day wasn’t exactly sunny there was a smile on everyone’s face and it was truly good to be part of the pre-Christmas fun. Though there isn’t much money around in people’s pockets as Italy fails to raise much above the original crisis of 2008 who cares? The best things in life – comradeship, laughter, singing and dancing – are free anyway! 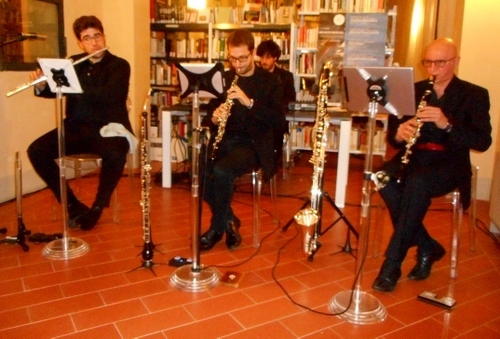 In the evening there was an amazing concert of contemporary music at Borgo a Mozzano’s library, Given by the Etymos ensemble put together by Luccan composer Girolamo Deraco, Etymos played pieces composed by the Luccan association for contemporary music ‘Cluster’. It ended a season of four very enjoyable concerts artistically directed by Giacomo Brunini. The pieces were amazing explorations in the field of living composers living in the Lucchesia today of which there are at least fifty. Not bad for a province that counts just 390,000 inhabitants – little more than most London boroughs. Among the pieces played was the winner of last year’s Cluster contemporary music competition – Alastair Greig from the UK who studied under Oliver Knussen. It’s lovely to hear Mozart and Beethoven but regrettably one can’t discuss their music with them because they’re dead! It’s thus truly wonderful to hear music by living composers who are actually present in the concert hall and who will tell you something about the inspiration behind their pieces. The fact that most of the pieces were first performances played in a ‘provincial’ town and that the concert hall was very well attended just shows the interest so many lucchesi have in music. Did I have my favourite? Gatti’s electronic piece ‘aspettando Puccini’ had me guessing what Puccini piece was subject to such extraordinary transformations. (I suspect it was ‘La Fanciulla’, however). I did particularly enjoy the last piece by Marco Simoni, perhaps because I’m a Leo myself. Christmas in Bagni di Lucca is like nowhere else (except of course, if you go to the next Italian town). I think I may be suffering from presepetitis. A post on the number of Christmas cribs around our area would fill several volumes. Incidentally, if you want to make your own traditional plaster-cast crib here’s a course you’ll be interested in. Hope you too manage to survive the pre-Christmas excitement wherever you live! As another prime minister, this time leader of Europe’s third largest economy, has shot himself in the foot over yet another referendum I wonder whether the traditional method of Parliamentary voting through one’s representatives is going out of fashion if one wants to change the government…..
Something that is not going out of fashion or be decided by a referendum, however, is Christmas despite the past efforts of certain English councils, to appease practising atheists and those of other faiths, to have it renamed ‘winterval’. I remember the occasion when my own former place of work decided not to have a Christmas tree in its foyer. The first person to complain about this new ‘regulation’ was our receptionist who came from India. She was quite livid about it and the Christmas tree was put back in its proper place. Christmas is not just for Christians. It has become a world-wide celebration of hope in the coming year, a gathering together of families and communities, a celebration of faith in the Earth. 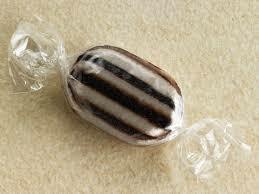 The only humbug thing about Christmas are those nice zebra-striped boiled sweets. Christmas in Italy, especially in the mountain villages, is something not to be missed. The ‘presepe vivente’ or ‘living crib’, where the village streets provide a perfect scenario for presenting old traditions and crafts and the birth of the baby Jesus himself, is particularly special. We have been privileged to have been role-players in one particularly spectacular one at Equi Terme. There are many more, however, closer to home. Every year in the comune of Bagni di Lucca there’s a circulating one which each year chooses a village out of Granaiola, Monti di Villa and Pieve di Monti di Villa. This year it was Pieve di Monti di Villa’s turn but on the same day I could have gone to at least five others within an hour’s drive from our house. Moreover, there was a great Christmas market at Borgo a Mozzano with a re-enactment of Saint Nicholas (the original Santa Claus) throwing the devil off the Ponte Della Maddalena. To top it all there was a magnificent guitar recital by a great virtuoso at the convent of Saint Francis. Doubtless there was more happening but how on earth could I fit it all these activities? I started with the Christmas market at Borgo. This was the beginning of the afternoon so the crowds hadn’t arrived yet. There were stalls to please all tastes for Christmas gifts. My next stop was the Presepe Vivente at Pieve di Monti di Villa. I found this beautifully organized and very well-attended. It was good to meet many friends too. I couldn’t stay on for the actual nativity scene for I’d promised to be at a concert. See how many old village crafts you can count. Needless to say some of them are still being carried out to this very day. Have you prepared your garden for spring planting? How well stocked is the winter feed for your goat? And who hasn’t got a friend who can cheer you up with some folk music. (There were no less than four bands that afternoon). 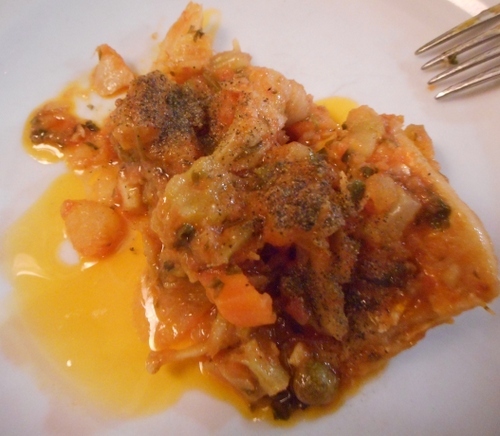 And as for the food on offer…..so tasty and home-grown, especially the cheese! Our living crib villages have got it absolutely right. The crib should be just for one day and it should start from mid-day and finish in time for dinner before it gets too dark and cold. Full marks and more for the presepe vivente di Pieve di Monti di Villa. It was absolutely brilliant. It was then back to Borgo a Mozzano for the market and the concert. The high street was now very well attended. I had to miss the Saint Nicholas procession, however. (He chases the devil and throws him from the stupendous mediaeval ponte Del diavolo). 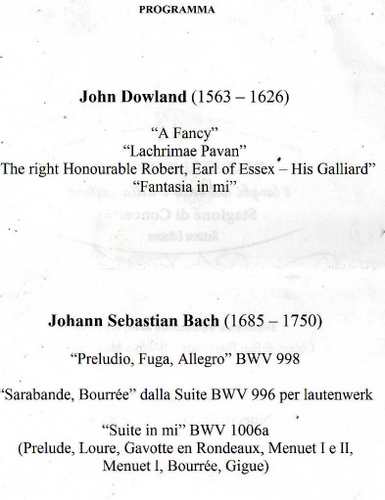 A concert of John Dowland and J S Bach played by Nuccio D’Angelo, one of the world’s great guitar virtuosi (he’s even played in Darwin Australia and all over the USA, of course) could not be overlooked! Within the beautiful setting of the convent of San Francesco the church grew colder and colder but Nuccio’s expressive playing more than warmed up the capacity audience. I particularly enjoyed his use of baroque ornamentation. His transcription of Bach’s Lute suites for guitar (which involved quite a bit of re-tuning) was close to miraculous. An encore was requested but although Nuccio jokingly said ‘you’ll have to wait for it next June when it’s warmer in this church’ he provided us with another Bach meltingly beautiful sarabande. There are still twenty days to Christmas. Will I have the energy to make it to that day when there is so much happening just in our little valley? And I haven’t even mentioned the light shows and street parties and the best fun and games to warm up a month which is getting even ccccccccolder!